Jewellery making courses are on the rise. With the increased popularity of craft fairs, handmade items and artisan crafted fine jewellery, the jewellery design business is still rising in popularity. We take a look at why so many people are picking up the tools and turning precious metals into wearable art whilst highlighting some of the individuals and duo's that have conquered the London jewellery world and contributed to what it is today. As an industry, jewellery design is lucrative. It's highly competitive but with its many hidden layers, there seems to be a place for everyone within it. For example, designers and artists with entrepreneurial instincts can use it to harness their creativity to make a name for themselves amongst the glitz and glamour of the fashion world. However, there's the other side to the jewellery business. There are hundreds of markets across London, artisan fairs, boutique stores, that are all crying out for jewellery designers. Success at these craft fairs can be the answer for many jewellery designers dreaming of making it big. Tatty Devine for example, is a jewellery company that now has several of their own boutiques across London. Their humble beginnings started on Portobello market, selling leather cuffs they had created themselves. After experimenting with acrylic jewellery, this duo of talented women caught the hearts of east London and then the country with their playful and colourful design. They filled a spot in the market, and have now made their jewellery business, hugely successful. Equally, for designers and makers such as Wolf & Moon and Rosa Pietsch, who have made perfectly successful names for themselves using crafts fairs around their area, which happens to be London, and through selling online and on Etsy.com. Other jewellers such as Roderick Vere, run a successful design and jewellery business through again selling online, but also teaching through websites such as Obby.co.uk and taking bespoke orders. Whichever path you decide you would like to take, it is undisputed that jewellery is an entrepreneurial choice to launch your handcrafted business into. 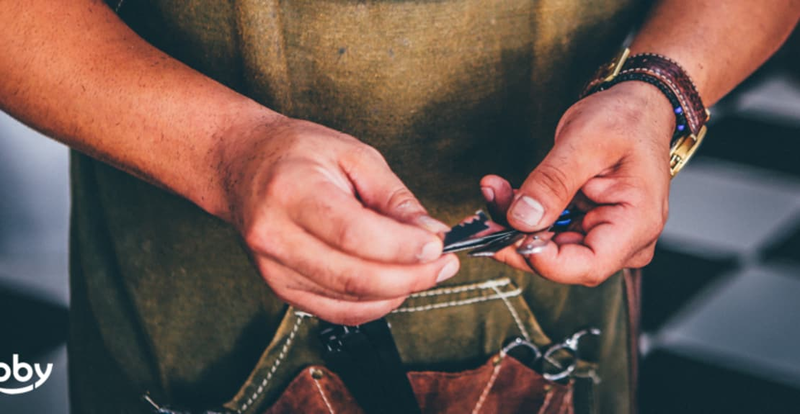 If you've set your heart on making a business in the jewellery sector then firstly, you've got to learn how to work with metal and precious stones. Several councils such as Lewisham Council teach a range of jewellery design courses and universities such as Central Saint Martins hold several short courses in the various different aspects of jewellery design. However, if you aren't sold by the council classes and your budget doesn't quite reach the tuition fees of central London universities, then a great place to start is the creators and the artists themselves. There are so many makers out there, that are willing to pass on their skills, their knowledge and their invaluable expertise. We've just designed a new course on Obby for this specific reason. We wanted to make it easier for people to make the jump. Here at Obby, we feel the world becomes a little more colourful when another maker rises up from the sparks of the creative depths of London. Creative education has taken a hit on the head, with the number of UK students taking arts subjects at school dropped to their lowest level in a decade. With our youngsters turning their backs on the arts in favour of maths, science and politics, it's our turn to pick up their slack and revisit the crafts and art that we left behind in high school. Adult learning has never been easier, and actually more beneficial. Creativity has been proven on various different occasions to lower stress levels, reduce anxiety and in some instances, fend off age-related illnesses such as Dementia and Alzheimer's. These are all the reasons why perhaps, as adults we should consider taking up creativity in later life. Even if perhaps in high school you saw yourself more as the sporty type or the preppy kind. Artistic flair is hidden in all of us, and artistic skill can be learned by anyone who is willing. It's all about taking the first-step.